Whenever I look at the Sun, it drives within me a force, fills me with unmatched power and gives me a sense of unlimited high energy. The Sun has been an integral part of our lives; even after child birth there is a ritual to worship Sun, signifying brightness; the Sun shine gives life to the nature …to us!!! We always were aware that Sun is an abundant source of energy. Strange however it is that the energy had been with us all this while but we didn’t work towards utilizing this vast potential until the fear of depletion of other energy sources started creeping in. 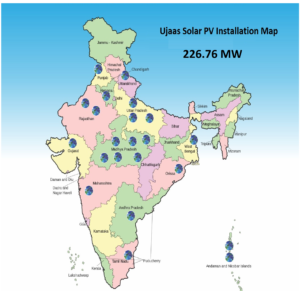 At Ujaas™, we have taken it upon ourselves to become the torchbearers and have taken the onus to illuminate mankind with at least some part of their energy requirement come from Solar. It is our vision to attain sustainable development, to conserve the resources for generations to come. What could be a better way than to return something back to mother earth as a responsible corporate citizen! Now renewable energy is the moving towards becoming new mainstay of the Indian economy. 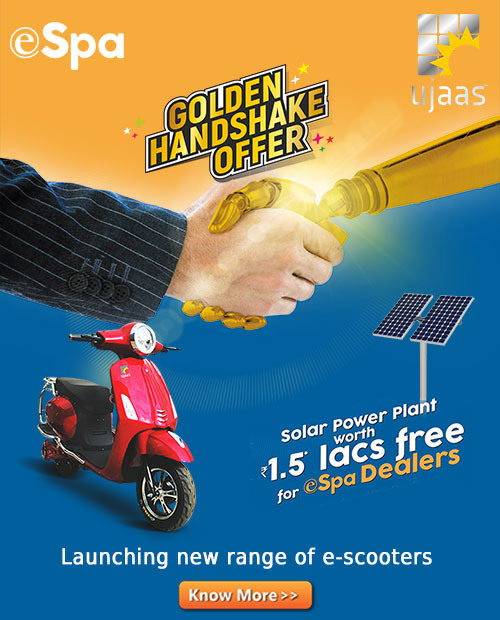 Replicating the need of the hour, Ujaas Energy Ltd. is privileged to announce its entry in Electrical Vehicle segment by launching its first E Scooter . The Company is aggressively working on different models & these are being designed on understanding the concern of different belt of customers and will cater to their different needs. “PV & EV can change CV of India”. By installing a Rooftop Solar & charging electric vehicle, the operational personal transportation cost will be reduced to ZERO. With the marriage of PV & EV, India can move at ZERO Cost. This is going to be a game changer in the coming days. And leave a better legacy to our future generation.